Looks like quite a few (thousand) people threw the Xbone a bone. Wishbone, a mobile app based on user-driven voting, allows people to vote between two competing brands, bands, and other split decisions. 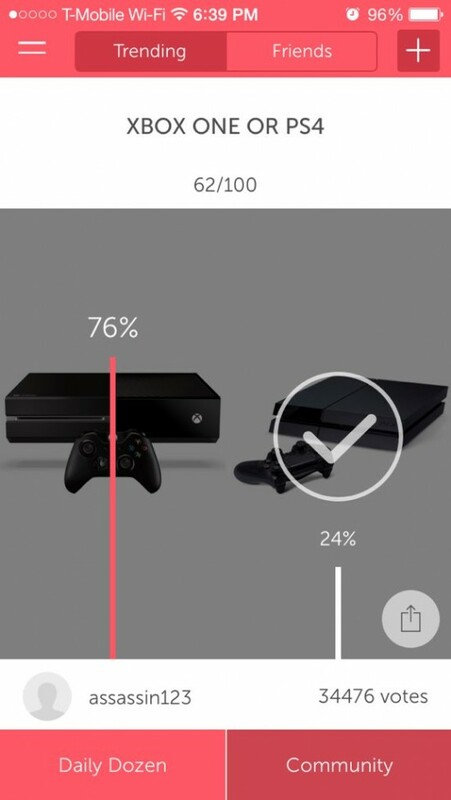 They recently put up a gaming-related poll between Microsoft’s Xbox One and Sony’s PlayStation 4. Another Wishbone vote between the previous generation’s top two of the PlayStation 3 and the Xbox 360 found similar results; however, the PlayStation 3 pulled in 32% of the total vote (around 10,107 votes) to the Xbox 360’s 68% (around 21,477 votes) at the time of this post at 31,584 votes. 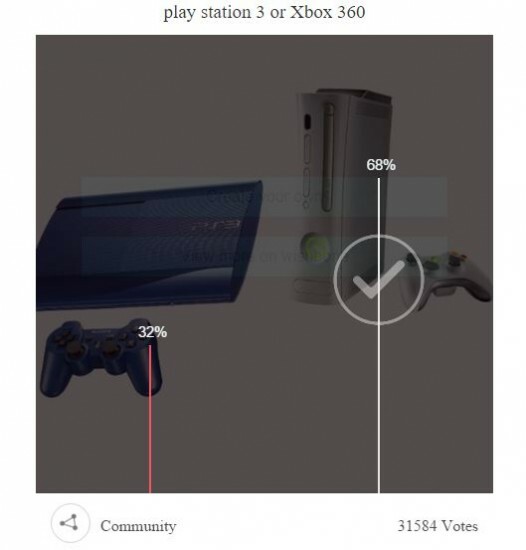 You can retain the Xbox 360’s lead or help boost the PlayStation 3’s numbers here. After a few tests, repeated voting (refreshing the voting page, opening another link within seconds) doesn’t appear to increase the number of votes you give. No artificial voting here it seems.